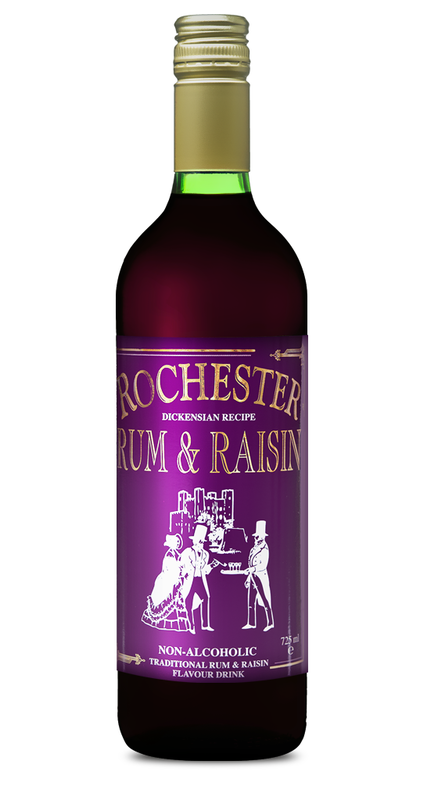 Crafted from a Secret Dickensian Recipe, try our Rum and Raisin Flavour Drink. Purified Water, Sugar, Citric Acid, Natural Rum and Raisin Flavour, Caramel, Potassium Sorbate. A unique recipe of organic fruit juices – Mulled Elberberry, Blackcurrant and Apple, blended with mixed spices and Orange oil. Served hot it is the perfect winter warmer and ideal as a welcoming drink for your friends during the festive season. It is non-alcoholic. Once open refrigerate and use within 2 weeks. Shake the bottle to insure the spices are thoroughly distributed. Pour the required quantity into a saucepan, heat and serve. Do not boil. Use slices of Orange if desired, to garnish each glass. For a less sweet punch add 1 cup of water to a bottle or 20% to each glass.